Peter's getting a little Fudge... a little brother or sister. He's already got Fudge, and the last thing he wanted was another one like his little brother. His parents are absolutely thrilled about how good it would be to have a new member of the family added on, however, Peter has other thoughts about it. When everyone finds that the Hatcher family come home with a little baby girl, Peter feels resentful. So, when the baby comes home, he tries everything to get rid of her, including taping $1.00 notes all over her and saying that she's for sale for a dollar. But will things turn out better as time goes along? 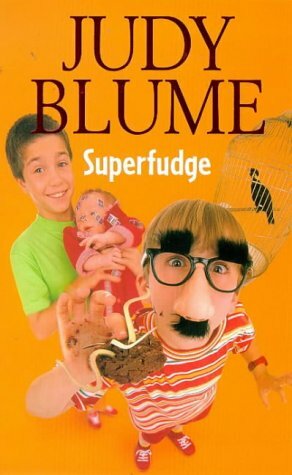 I haven't really read that many Judy Blume books in my time; as when I was going through high school, most of the ones I wanted to read were always checked out of the library or on reserve. So, I kind of missed out. However, now I'm reading some here and there, I'm finding they're absolutely charming and hiarious and a great light read. I've found Judy's Blume's site very informative and has everything you'd need to know about her and her life. So, instead of me going through it and picking at it, I'll post the link on the sidebar and you can wander around her site at your leisure. 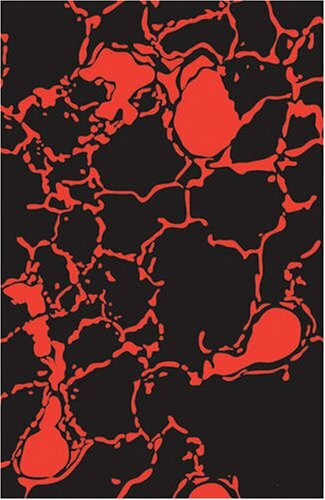 This book is based in London and started in a hospital where a biologist, Bill Meson is admitted due to being blinded by the plant he studied. While there, an unusual meteor shower begins and continues all night; and with his eyes bandaged, he feels he's the only one not invited to the party to see it. However, anyone and everyone else does stay up and watches. The next day, when he can see, he finds that everyone else is blind. Over the next few days, Bill wanders the streets of London not really knowing what to do and finds a woman who he helps from being turned into a slave for a blinded man. However, after he helps her, he leaves the city for the country and finds a well-established sighted group that never saw the meteor shower. For his own reasons, Bill finds this particular group ruthless, mean and not what he was looking for and he begins searching for the woman he helped in London; and once they find each other again, they form an unusual relationship where she is very liberated and helps make decisions in their lives. Bill and the woman decide to find a way to destroy the Triffids. This book is well worth a read - even though it was written in 1951 - and I recommend it to anyone who loves sci-fi and loves a classic. John Wyndham Parkes Lucas Benyon Harris was the son of a barrister. After trying a number of careers, including farming, law, commercial art and advertising, he started writing short stories in 1925. I bought this book at a library sale some years ago and read in 2005. However, the content of it stuck with me long after I closed the cover and put it back on the shelf. I love reading psychology books and books about our minds and how they work and why. This book may be an old one, but it looks at how we are presented with difficult situations, we react in unusual ways; but they are always the same ways each time. This book taught me that to let love in from others, I had to let go of the fear I've had in my past. This takes time and work. Even though this book was written in 1979, its content is still relevent today and it all still works in today's world of instant and quick fixes. Everything takes time to be fixed; and that's what we need to use. On other sites, I've read that people have called this book a bible, a source of strength and their rock in hard times; and I must agree with them. If you read any book in your life, make it this one. Dr Gerald G Jampolsky, MD is a hard man to track down and thus there isn't much about him on the net. However, there's a huge list of books you can look up by him on Librarything.com and Goodreads.com as well as Amazon.com too. So, what are you guys waiting for? Go and have a read of this man's fantastic books. I finished this book a few weeks ago, and it's taken me a little while to get together in my mind what to write about it; as it's hard to say exactly what my feelings for a book such as this is about. At first I found it very slow and technical; but I didn't mind that as my mind works that way also. Then, it picked up speed and moved very quickly and methodically along; taking me along for the ride, as scary and thrilling as it was. Can you imagine if our DNA and blood could have an intelligent thought and work with our bodies to become something like a galaxy within our own minds? Well, Vergil Ullman had this idea; however where he worked found his experiments dangerous and unwanted. So, while he was cleaning out his lab, Vergil injected himself with his experiment and thought he'd worry about it later; thinking the few cells he had used would die off in his system. Boy, was he wrong about that... he was wrong about a lot of things concerning those few cells and what they can do inside and outside his body. Greg Bear has been called the “Best working writer of hard science fiction” by “The Ultimate Encyclopedia of Science Fiction.” and has been entering readers all over the world for over 20 years. He wrote 'Eon' and 'Eternity' along with 'Darwin's Radio' and 'Darwin's Children' ; with his most recent work being 'Quantico'. Read more about this wonderful Sci-Fi writer on his official site situated on the sidebar. When I go to see films on the big screen I always keep an eye out for whether or not it was a book first or not. This book was a movie first; then two guys thought it would make a great book. At first I thought it was okay to read as a light read to get through something really quick. However, as the years past, and I read it I found that it was just a cheap copy of the movie and I enjoyed watching the movie more. 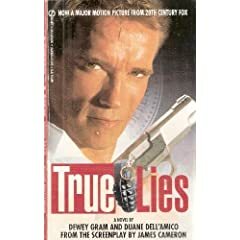 There are a lot of books that are going around which are written from the screenplay and I'm afraid to say they may look good and the blurb on the back may sound as good as the movie; however they are not. The magic of the movie isn't there; the people who try to emulate the brilliance the director put across onto the big screen through a book dulls as you read the words. I've googled both these guys and there's not much out there about them; so I can't say who they are or exactly what they do. If anyone knows more about them, drop in and leave some info or a site. Thanks guys. I don't remember where I got this book - as with some books in my collection - this one was given to me in the last year or so and I got into reading about handwriting. 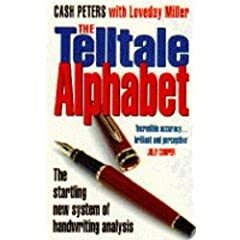 This is a very interesting book about the John Handcock we call our handwriting. Some of our writing is easily read, while for other people, we often find the hand writing terrible and looking like our eye sight may be the problem (and sometimes it's not). This book will tell you how to read between the lines of what people are really saying and not just read what's on the page. It covers how people cross their 't's , the letter 'g' and 'y' and their beguiling tails right through to whether you write margin to margin or leave a space around your whole paragraph of writing, indenting and if it's good to end a word with a down line or an upline. Yep, it sounds very complicated and very simple all at once. However it does make one curious about what your hand writing does actually say about you, doesn't it? I haven't been able to find much out about Cash Peters; just that he's a travel writer and this book isn't on the list of books he's published. And Loveday Miller doesn't seem to be online either. However, if you know something about them (I think the latter is an editor), please leave a comment and let me know of any sites or information I can add on here. Thanks guys. Amelia Jane is a mischevious doll who is owned by a little girl who loves her very much. However, it's when the little girl leaves her to go to school every day that the adventures - or should we say - misadventures happen to this doll. In a nursery with other toys like Teddy, the Sailor and - in this edition of my book - the golliwog the toys have the day to themselves, get up to all kinds of games and trouble all on their own. I received this book for my 10th birthday from one of my school friends. 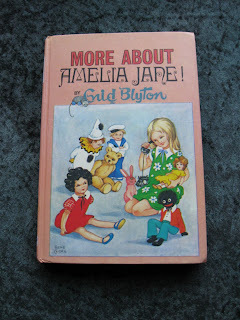 It's one of the rare publications which has a golliwog in it; as since it's be reprinted without him in its pages. I see no reason why he was taken out as I thought - and still think - he's a cute character. So, here is the cover with the golliwog on the cover from my own collection. Enid Blyton's website is on the sidebar and it's very easy to use - even if it looks like it's for children, it's not. So, I won't put too much here. However, I will write that Enid Blyton wrote many series of books for all age groups from the 'Noddy' series to 'The Faraway Tree', 'Famous Five', 'Malory Towers', 'St Clares' and others as well. So, click on the her name on the sidebar and be engulfed by her life, her books and become a member of the Enid Blyton Society. It sounds like fun! I don't remember where I got this book. I do remember one of my friends had it; and I think she gave it to me because I kept on reading it at her place. However, now I have it, I rarely have the time to get my nose into it as much as I want to now. This is a book which will tell you the difference between a Luerck and a Dogsthorpe; and believe me, there's a mountain of difference between these two goblins. The two authors who wrote this book have done a great job with detailed descriptions and drawings, pictures and even the hats, weapenry and clothes these little - or big - guys wear. However, as with most books on the fantasy realm, it's all just fun to read about them and a good giggle. So, if you'd like to have a look at this book, you may be able to find it in a second-hand shop or it may have been reprinted. Either way, it's worth a read and not to be taken too seriously. I'm usually looking for a new character and use a part of one and a part of another from this book and create one of my own. Seeing there are two authors, I've included their names in the sidebar so you can look around their official websites. Brian Froud took part in the makings of major films such as 'Labrinth' and 'The Dark Crystal' from the 1980's and is currently working on new films that are involved with those films again. When I googled Terry Jones, it came up with the man from the Monty Python series. So, I put into sidebar Mr Froud's site for you all and keep searching for more information as time goes on. In this story, the reader's imagination is taken to a fabulous fantasy land full of absolute opulance; so much so it's been kept a secret from the outside world and jealously guarded. However, frequent and fatal consequences lay in wait for bona fide guests and uninvited visitors when all the while the sybaritic luxury of the place is evoked ina velvet prose style which is quintessential F. Scott Fitzgerald. And along with this first story, is another collection to make your read complete! I received this book as a gift from a close friend I once went to school with; however she moved overseas and we kept in contact. We've been swapping gifts ever since and this marvelous book is one of them. I have read this first story many times and have no intention of letting this book off my bookshelf. F. Scott Fitzgerald was born in St. Paul, Minnesota, on September 24, 1896. Fitzgerald attended the St. Paul Academy; his first writing to appear in print was a detective story in the school newspaper when he was thirteen. During 1911-1913 he attended the Newman School, a Catholic prep school in New Jersey, where he met Father Sigourney Fay, who encouraged his ambitions for personal distinction and achievement. As a member of the Princeton Class of 1917, Fitzgerald neglected his studies for his literary apprenticeship. He wrote the scripts and lyrics for the Princeton Triangle Club musicals and was a contributor to the Princeton Tiger humor magazine and the Nassau Literary Magazine. In June 1918 Fitzgerald was assigned to Camp Sheridan, near Montgomery, Alabama. There he fell in love with a celebrated belle, eighteen-year-old Zelda Sayre, the youngest daughter of an Alabama Supreme Court judge. The romance intensified Fitzgerald’s hopes for the success of his novel, but after revision it was rejected by Scribners for a second time. Unwilling to wait while Fitzgerald succeeded in the advertisement business and unwilling to live on his small salary, Zelda Sayre broke their engagement. In the fall-winter of 1919 Fitzgerald commenced his career as a writer of stories for the mass-circulation magazines. For most of his life Fitzgerald spent his Winters writing books and stories and the rest of his year trying to pay off his debts by working for Esquire magazine as a freeelance script writer by writing short-short stories and MGM studios in California. However, as years went by and he eventually did pay off most of his debts, he found he couldn't save any money. He began his Hollywood novel, The Love of the Last Tycoon, in 1939 and had written more than half of a working draft when he died of a heart attack in Graham’s apartment on December 21, 1940. Zelda Fitzgerald perished at a fire in Highland Hospital in 1948. F. Scott Fitzgerald died believing himself a failure. The obituaries were condescending, and he seemed destined for literary obscurity. The first phase of the Fitzgerald resurrectionò “revival” does not properly describe the process occurred between 1945 and 1950. By 1960 he had achieved a secure place among America’s enduring writers. The Great Gatsby, a work that seriously examines the theme of aspiration in an American setting, defines the classic American novel. I received this book as a gift from my Mum and I absolutely adored it! Whenever I get the chance now, and I have nothing to read, I slowly peruse these pages of work of various artists and read about how's and why's of their work. This book is an absolute must for any artist or anyone who love the impressionists from any and all eras. From Eugene Boudin to George Seurat, this large and heavy book talks about these wonderful artists' works with the assistance of full colour photos of their paintings and well-researched information about the men who painted them. However misunderstood they were in their own times, we still find their works something to adore and love over generations. This book is something I will never part with in my lifetime. I'm afraid to say that in my search of the net, I've been unable to find an official website for Antonia Cunningham. However, quite a few books are on e-bay; including this very one. If anyone has a site that we could all go to - even if she keeps a blog - please leave a comment, and I'll add it to the list of authors on the sidebar. Thank you. As a person who used to suffers from these horrible beasts myself, I know exactly how it feels to be my own worst enemy. It's as though I'm trapped in a prison and I'm the creator of that prison; and yet, I also hold the key to my own freedom. This book - which is surprisingly thin - is an informative and funny way of looking at panic attacks and how to put them in their place. From reacting to them at home to putting that beast in its place in a public, this brilliant book will advise you how to get around the embarassing affliction of panic attacks. Bev Aisbett is a cartoonist, illustrator, author and trained counsellor who has written seven books, including one recently released: 'Taming the Black Dog' about depression. Bev has been a freelance cartoonist and illustrator for ten years and her work has appeared in numerous press and community publications. Bev has worked with people suffering with anxiety one-to-one with counselling, lectures and workshops for the past five years.